Russia's hybrid military forces attacked Ukrainian army positions in Donbas 26 times over the past 24 hours, according to the press service of the Anti-Terrorist Operation (ATO) Headquarters. "In the evening, the Russian-backed mercenaries fired various types of grenade launchers and heavy machine guns on our positions near the town of Avdiyivka, and the villages of Pisky, Maiorsk and Luhanske, as well as Butivka coal mine, which are in the Donetsk sector. The Ukrainian military fired back to suppress the enemy's activity," the ATO HQ said. Read alsoRussia's hybrid forces use banned mortars near Shyrokyne in Donbas on SundayIn the Luhansk sector, the enemy attacked the defenders of the village of Krymske four times within a few hours, using 120mm and 82mm mortars, various types of grenade launchers, machine guns and small arms. 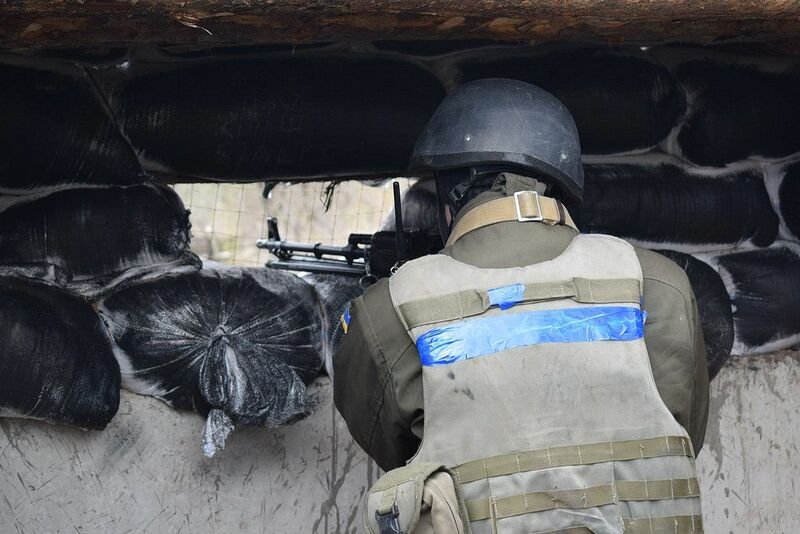 The Ukrainian fortified positions near the village of Triokhizbenka came under fire from grenade launchers twice, as well as once near the village of Novo-Oleksandrivka and the town of Popasna. In the Mariupol sector, the intensity of enemy attacks somewhat decreased in the evening. However, at about 20:00 Kyiv time, the Russian-backed militants used an automatic grenade launcher near the town of Maryinka. "There were no casualties among ATO soldiers," the ATO HQ said. As UNIAN reported earlier, there were 19 attacks on Ukrainian troops in Donbas on Saturday, October 7.